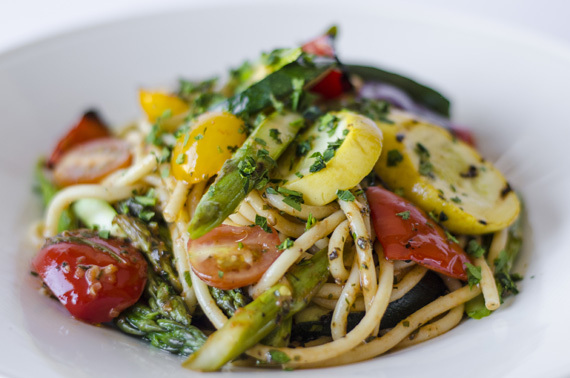 Always a new dish, we change our vegetables with the season. The white wine herb sauce adds a brightness to the dish. Bucatini is a long narrow pasta resembling a thick, hollow spaghetti. It’s sturdiness holds up well to the abundance of vegetables in our version.